Sweet, smiling, soft spoken, sometimes silly Sophie….I also need to add smart. She’s the whole package. Is there a word that starts with “s” that means talented? Sophie has been in very active in show choir from junior high through high school, performing with the national award winning Swingsations. 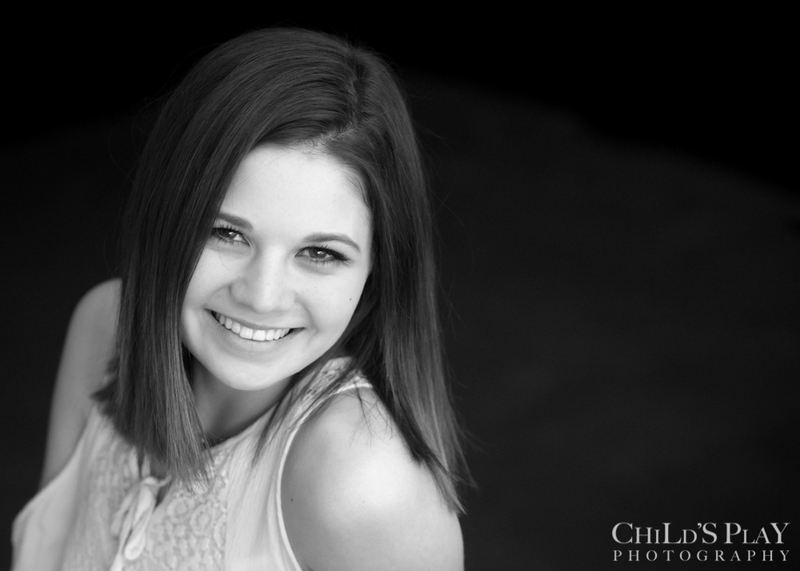 She’s a beautiful dancer taking years of dance lessons and performing with Studio B in Mt. Zion. 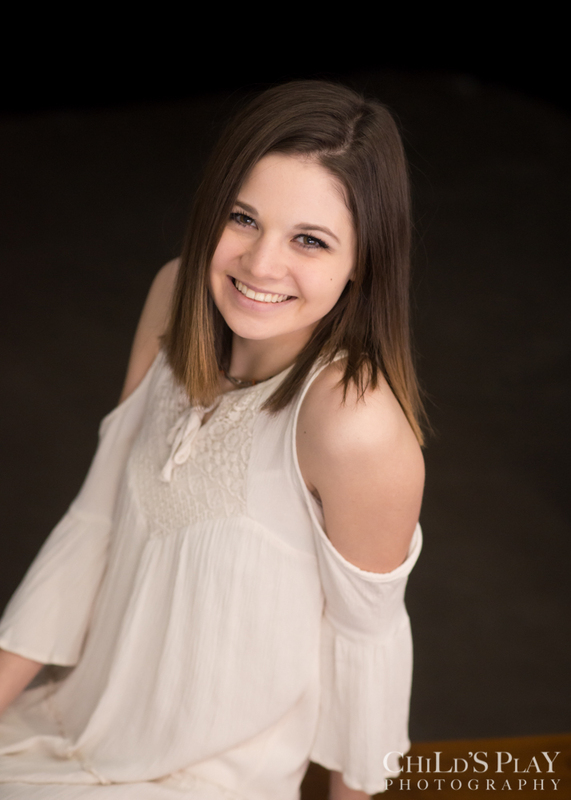 She’s played for the Brave’s high school tennis team, been active in SADD, and a member of NHS. She’s busy, busy and we were lucky to fit in a studio only session, where we had an abondance of really great images. Spontaneous: another word that describes her natural charm and authentic personality infront of the camera. It might have helped that her beau, Brandon, was also a part of our photo session. We also snuck in some beautiful mother-daughter shots, a favorite thing of mine. OK, I know a word I forgot: spiritual. It’s the heart, soul and core of who Sophie is. Her faith shows in everything she does. It will carry her into her bright future next year at St. Louis University. Good luck Sophie!